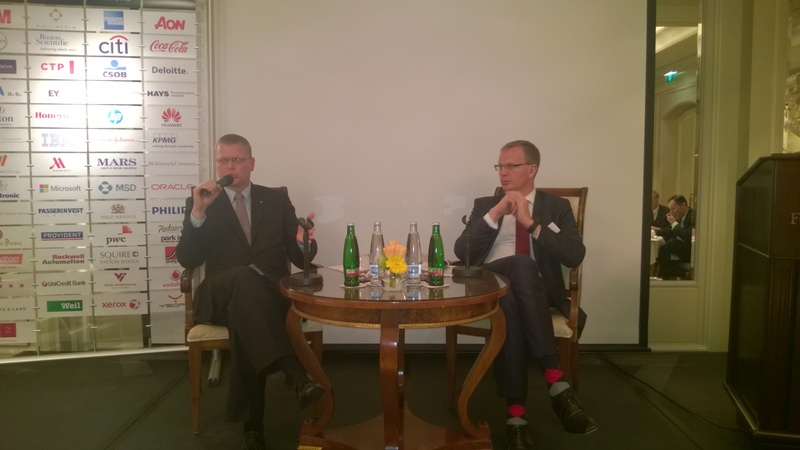 AmCham members met at Luncheon with Pavel Belobrádek, Deputy Prime Minister for the Science, Research and Innovation, Leader of KDU-CSL on April 23, 2015. Pavel Belobrádek summarized his opinions and ideas on research and development, possible future development of the Czech Republic in area of R&D in his key note speech, shared views on trends in science and then answered questions from the audience. As a background document Amcham summarized policies we believe will increase the country’s economic potential, either by increasing the capabilities of the country’s people or by improving the efficiency with which government provides services and makes investments. The document in Czech can be found here. AmCham also published Position Paper on Insolvency Proceedings in Czech available here.